My birdfeeder is being visited by some medium-size birds that I don’t recall seeing around before. They are very aggressive to the smaller birdies. Can anyone identify them? I’m thinking they are hanging around here because of the warmer temperatures (today was close to 60 degrees). I apologize for the poor quality of the photos. 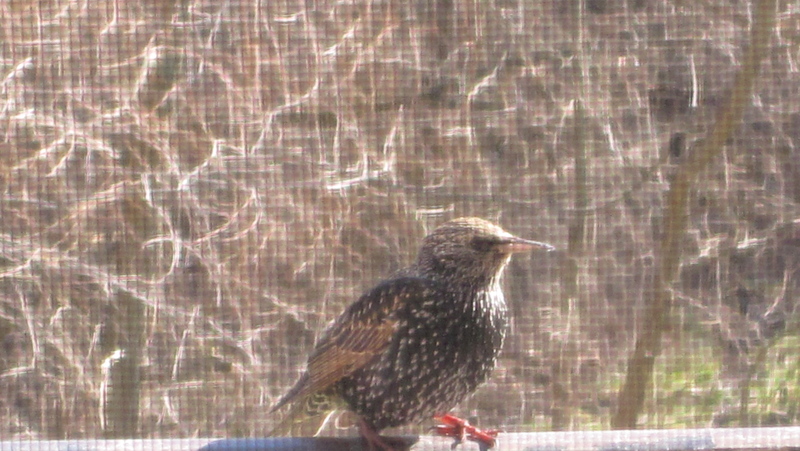 The birds are also very skittish, and I had to sneak up on them and snap the photo through the window. Fiction lovers, rejoice! In case you ever need an excuse to delve into a fictional world of your liking and spend some time there, cognitive psychologists have, through the years, come up with several. In short, people who read fiction exhibit a superior ability to correctly interpret the facial expressions of other. This makes them more perceptive of others’ emotional states and can lead to better social skills. Reading fiction can also make you more empathic to others. Readers’ corresponding brain areas become activated in response to what is happening to characters in the story, increasing the ability to take another’s point of view. And reading fiction can even lead you to better your personality by making you more open to new experiences and leading you to become more socially aware. My mother used to say, “She always has her nose in a book!” I guess I can take that as a compliment of the highest order. What novel(s) might have had an early influence on your social development? ** Except my mom would often mistakenly use another sister’s name when one of us was in trouble (that wasn’t a good time to correct her, however). 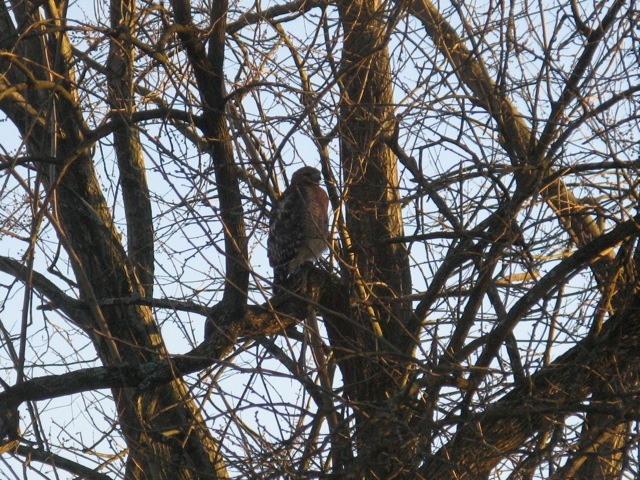 Here’s a better shot of the mighty hawk. 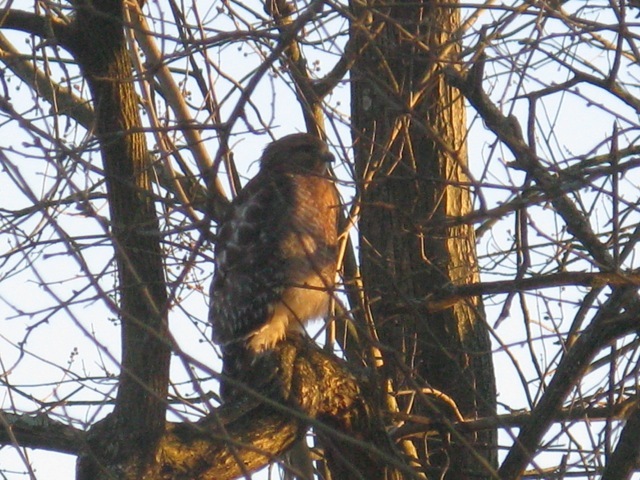 Earlier, the hawk chose to ignore the antics of a little squirrel playing on the branch to the left. Today’s photo is courtesy of Bob Binder.